On May 16th, 2015 as I neared the end of my Ontario ride I rode westward along a dirt road with long shadows attached to our tails. A newer pickup coming out of the setting sun drove up and stopped. The driver rolled down his window and the woman passenger leaned over to get a better look. I should have written their names down because I do not remember it. One of the many…”curious and interested” who embellish my rides. After we got our who’s and where’s straight away the elderly gentleman asked if I had heard of the book called Saddlebags for Suitcases. I said, of course I had it was a legendary ride by Mary Bosanquet. Well he told me she came down this road and she wintered here in Dayton, YOU ARE IN Dayton he said. There were no buildings remaining and he was not sure who the family was that she stayed with but it didn’t matter to me, my jaw was hanging in disbelief as he drove off. WOW I mean, I had just been told I was on the same route that Mary rode in 1939. The nearby farms held Mennonite and Amish farmers. Minutes earlier I had ridden past a team of work horses pulling a manure spreader driven by a young man who skillfully handled the team. Black buggies pulled by lean, long legged saddle-bred horses sped by, a nod from the bearded driver wearing a large hat like mine. A quietness filled the air. The absence of engine noise replaced by bird songs in spring delight. A time warp. It happens. 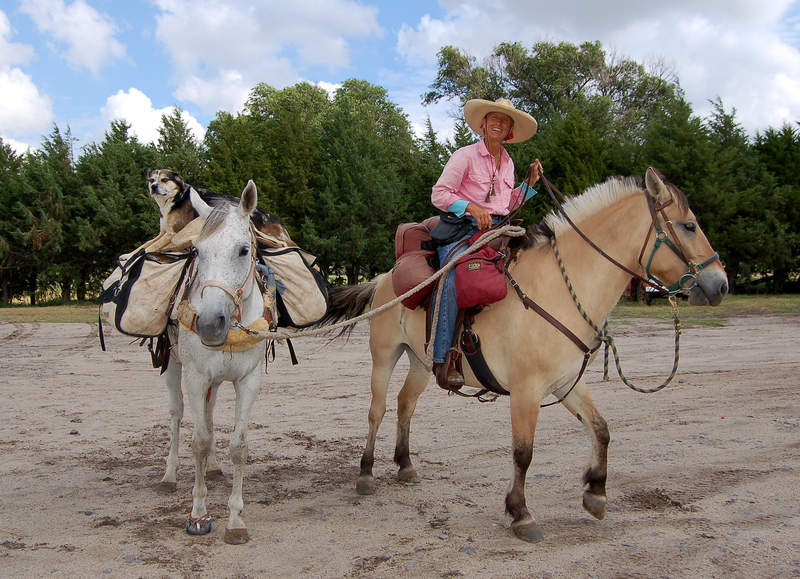 Mary and her horses Timothy and Jonty achieved the goal, covering an estimated 3800 miles of horse trail, back road, and highway in eighteen months. 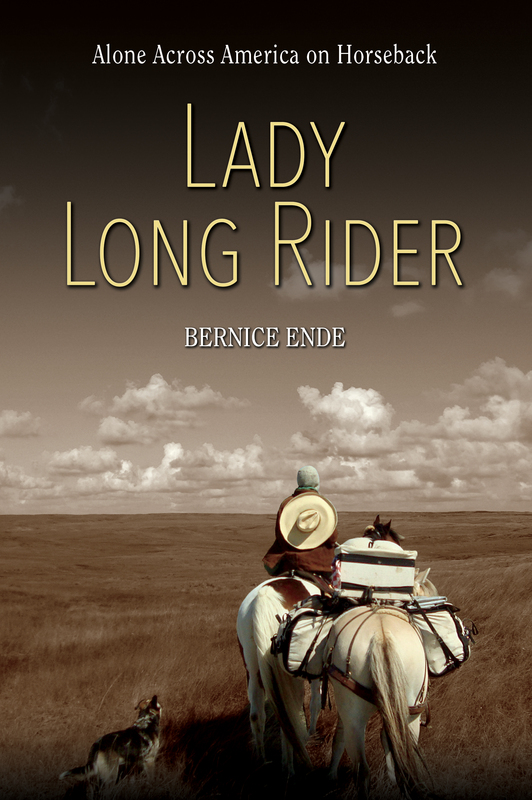 Of this time, the winter of 1939-40 was spent hosted by a farm family in Ontario.She was the recipient of much attention from newspaper reporters as the trek proceeded, was surprised by several offers of marriage from smitten cowboys, attended the Calgary Stampede and was inspired by the displays there to try out bronc riding herself with reasonably successful results, for though she was unseated several times she felt she had figured out the stick-to-the-horse technique quite nicely, learning through doing, as it were. During the later stage of her journey Mary even visited the Dionne quintuplets, and her wry commentary on that experience is a fascinating glimpse at that particular social phenomenon. Thank you to Greg and Christine and their daughter Lilly, home from University. Greg and Christine Rathjes are both teachers so there was an added bonus of stimulating conversation besides the time to rest, recover, prepare for the next step. Thank you so very much, a much needed stop over for me AND for the horses who had oats and minerals and carrots and treats…and new horseshoes!! I head north in the morning. Will swing up for a look at Lake Superior. Duluth- next long stop over.